Blended learning, in the most general sense, is a form of education that combines online digital media with traditional classroom methods. When it comes to our 16-month ABSN program, well-rounded teaching approach represents an accelerated nursing education that comprises online coursework, hands-on labs, and clinical practice at top hospitals across Greater Cincinnati. In fact, the benefits of blended learning are well worth talking about. Our online coursework, also known as the didactic portion of the ABSN program, brings a level of convenience to the learning process. Because you’re not tied down to a specific classroom schedule or location, it’s possible for you to learn core nursing concepts at any time of the day or night. While online coursework lets you study around your schedule, there’s often the misconception that it’s easier than a traditional classroom-based education. However, online learning can be just as challenging, if not more so, because you need to know how to manage your time wisely. You’ll find that several of our ABSN students, including Brianna P., set daily learning goals to help keep them on track. Brianna typically begins her daily study routine around 9 a.m. or 10 a.m. She spends a couple of hours on her coursework and then takes a break to do other things. “I don’t sit down and study for eight hours straight. I make an effort to go to the gym every day as a way to relieve stress or get out of my apartment,” she said. There’s also the myth that teaching quality suffers in an online education. That’s simply not true. It’s just a different way for professors communicate with students. At Xavier, you can expect a great deal of support from your online instructors. Canvas, our online learning management system, features a mix of media, from video content to discussion forums to interactive activities, that lets you engage with course material at your own pace. Keep in mind, however, you’re still accountable for any deadlines set forth by your instructors. A live video conference feature within the system allows your instructors to explain complex concepts and answer questions in real time. Canvas saves and archives these video conferences. Essentially, Canvas puts everything you need to know about nursing at your fingertips. You can also go back and watch a course video or practice an activity as much as you want. During your nursing skills and simulation labs, which take place at our ABSN Learning Center, you’ll learn how to safely put nursing concepts into practice. 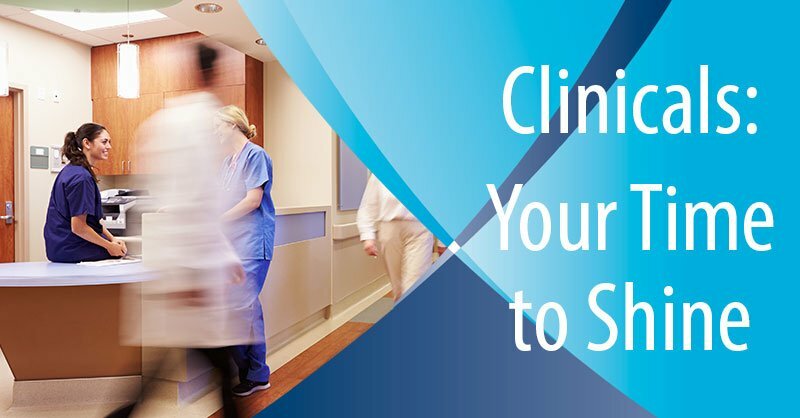 Featuring the same supplies and equipment you’d find in a hospital, these labs help develop your individual and team-based nursing competencies. Overall, nursing labs are helpful because they allow you to take what you learned online and apply it in a risk-free setting. You also have the opportunity to come to our ABSN Learning Center to practice your skills during open lab hours. Providing a major dose of reality, our nursing simulation lab takes your nursing competency to the next level. Anne, the star of the lab, is a sophisticated medical manikin that affords scenario-based training in the care and management of in-hospital patients. She makes it possible for you to make and correct clinical errors without adverse consequences. To make the experience even more realistic, we pair Anne with a SimPad that allows for enhanced dynamic monitoring capabilities and patient interaction. SimPad is an operating device that allows our instructors to control Anne’s symptoms and reactions to treatment. For example, she can produce various bodily sounds, including heart murmurs, wheezing, hyperactive bowels, and coughing. She can even cry tears and moan if she doesn’t like your form of treatment. Overall, our nursing simulations help enhance your critical thinking and problem solving skills so you can start your clinical practice with confidence. Furthermore, Anne can expose you to high-pressure critical care situations that might not be available to you during your hospital rotations. Clinicals are where online coursework and hands-on labs come together. Our ABSN clinicals are set up so that you gain a real-world understanding of how nursing theory applies to the care of individuals, families, and communities. And unlike a traditional nursing program, our accelerated nursing program gets you started on your clinical practice almost immediately—your first eight weeks in nursing school to be exact. Overall, clinicals help develop your confidence when it comes to applying your individual nursing skills and working collaboratively with others in interdisciplinary patient care. Furthermore, you learn how to provide safe, competent nursing care within the context of a specific facility and state law. Together, these 5 benefits of blended learning give you a solid, well-rounded education that prepares you to become a practice-ready nurse in as few as 16 months. In fact, health care employers appreciate the rigorous nature of our nursing curriculum. “Our nursing school graduates are known for being deep thinkers who excel at clinical reasoning. 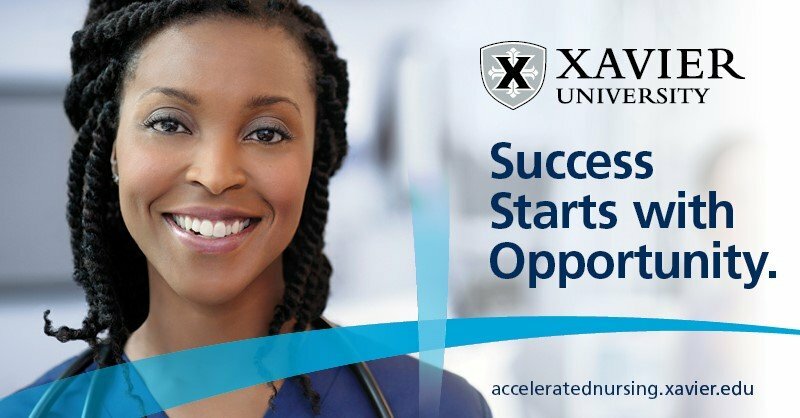 It’s common for hospitals to call asking about our next graduating class because they want more Xavier nurses on staff,” said Cheryl Leksan, Associate Director of Nursing for Online and Hybrid Nursing Programs at Xavier University. Contact an admission counselor to learn more about how our online and onsite ABSN curriculum makes all the difference in your nursing education.